Everyone knows of the Age of Exploration, and the Portuguese efforts to find a sea-route around Africa to India. If you know a little more history, you know something of their efforts related to controlling trade in India and the Indian Ocean. What is even less known is the efforts the Ottoman Empire expended in controlling the Indian Ocean. We mostly remember the Ottoman Empire as a land power. But it controlled the bulk of the Mediterranean for quite a while, mostly during the 16th Century, and the celebrated defeat at Lepanto was celebrated because it was in the face of heavy naval superiority, which Lepanto did not affect. What almost no one remembers is that the Ottoman Empire gained control of the Red Sea and Persian Gulf during this period and challenged Portugal for control of the Indian Ocean. Part of this might be because both powers were operating far from home at the end of administrative and logistical support. There’s not a lot of huge conflicts here—there are some important ones, but the size of the forces involved tends to be much less than we are used to thinking in terms of. Casale’s book is a very enlightening look at this entire situation from the Ottoman point of view. 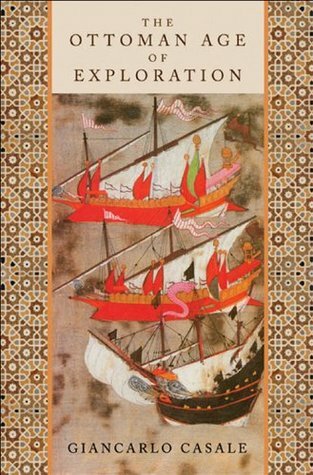 The main focus of the book is a group that he calls the “Indian Ocean Faction” in the Ottoman government. I think he presents them as a more coherent and unified group (partially through use of that name) than I guess they really were, but it looks pretty evident that they did help and promote each other as they could, and were a legitimate faction. In general, Casale covers the Ottoman “discovery” of the Indian Ocean (an area that they didn’t know much more about than Western Europe for some time) through an attempt to draw the eastern Muslim world into the Ottoman political orbit, policy changes, and the end of both Ottoman and Portuguese efforts at taking the entire pie. As if politics, war, negotiations, and trade aren’t enough, Casale also talks about maps and mapmaking. After reading The Fourth Part of the World this was very welcome, and also well handled, though I think there a need for better analysis. One thing I wish, is that the book tied in events elsewhere better. Lepanto is mentioned, and conquest of Cyprus, but other major events, such as the siege of Malta, are not mentioned, nor is their possible impact on other projects examined. Still, this is a very important book for gaining a better appreciation of the period from 1512 to 1589.